We all are constantly looking for ways to look beautiful and have flawless skin that too without side effects. For this we try multiple skin creams and lotions available in the stores. But by doing this we are all taking a chance with the health of our skin. As these creams contain chemicals that affect our skin. Why take a chance with our skin health when there are so many natural ways to get flawless skin. Ayurveda experts speak about the benefits of homemade solutions for skin problems as these homemade remedies for flawless skin are made of natural ingredients which won't have any side effects on your skin. So if you haven't tried the natural ways to get healthy flawless skin, then you should try them. Green tea is known to be high in antioxidants. The antioxidants present in green tea water will help flush out the free radicals and toxins from your skin. As honey is known for its antibacterial properties. Adding honey to green tea water will help protect your face from bacteria. 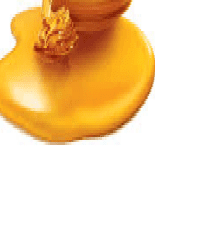 Honey is a natural moisturizer and it will improve the texture of your skin. Mix 1 cup of green tea water, 2 spoons of rice flour, ½ spoon of honey and apply the paste to your skin. Leave it on your face for about 20 minutes or more, or till the green tea water mask dries completely. Before washing off the mask massage your face in circular motion. As this helps in removing the dead skin cells and evens out the skin tone. Wash your face with cold water. 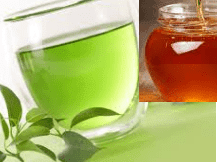 This green tea and honey mask gives you a fairer and even skin tone. Oats are known for it's anti-inflammatory properties. Oats help in reducing inflammation and heal the skin. Oats work as great exfoliators which helps in clearing off the oil and impurities present in your skin. Lemon juice being rich in vitamin C it helps lighten the skin tone. Mix 1 tbsp cooked and smashed oats and 1 tbsp of lemon juice in a bowl and apply the pack on your face and massage it gently. Let the oats and lemon juice pack dry for 20 minutes. After 20 minutes wash off the face pack with cold water and pat dry with a towel. Using turmeric for fair and glowing skin is an ancient indian beauty tip. Turmeric has been known to contain numerous antioxidants as well as antibacterial properties. Turmeric has a lot of benefits for the skin. Mix 1 tbsp of gram flour, 1 tbsp of turmeric, 1 tbsp of lemon juice, 1 tbsp of milk in a bowl till you get a smooth paste. Apply this turmeric paste on your face and scrub it for about five minutes. Leave the paste on for about 20 minutes, and later clean your face with cold water. An antioxidant called lycopene is found in tomatoes which provides excellent protection from UV damage. Lycopene also works well as an anti aging agent. 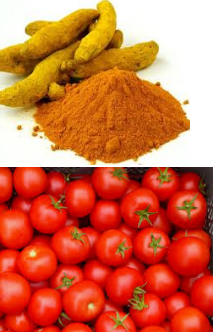 Mix 1 tbsp turmeric and 1 tbsp tomato juice in a bowl till you get a smooth paste. Apply the turmeric and tomato paste on your face and leave it on for about 15 minutes. Orange being a rich source of vitamin C works as a great skin tonic. Yogurt helps in giving your skin its lost glow back. Yogurt figts skin problems like discoloration, wrinkles and fine lines. Yogurt is also used as a skin moisturizer. Grind a few dried orange peels to powder. Mix a tablespoon of this orange peel powder with the 1 tbsp yogurt till you get a smooth paste. Apply this orange peel and yogurt paste to your face and keep it on for about 20 minutes. 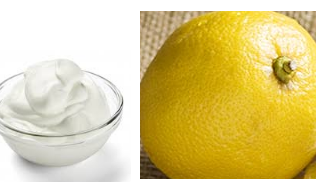 Yogurt and lemon both are great skin moisturizers they help remove blemishes from the skin. Lemon contains high amount of vitamin C that protects the skin from UV damage. Yogurt is used to improve the overall skin texture and makes the skin brighter. Mix 1 tbsp of fresh yogurt and 1 tsp of lemon juice in a small bowl. Apply the yogurt and lemon paste on your face and leave it on for about 20 minutes. Milk is a rich source of magnesium, calcium, and other proteins that help in tightening the skin and provide nourishment to the skin. Milk also contains natural fats and minerals that tone the skin and give you fair and glowing skin. Mix 1 tsp of milk, 1 tsp of lemon juice, 1 tsp of honey in a bowl to a smooth paste. Apply the paste on your face and keep it on for about 20 minutes. Saffron has been used as a beauty ingredient for many centuries. Saffron is said to improve skin complexion. It has excellent purifying properties as well as is anti-bacterial in nature. 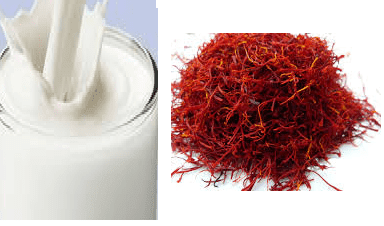 Take 3 tsp of cold raw milk in a bowl and add a few strands of saffron to it. Leave the saffron strands in the milk for three to four hours. Post that, apply this milk and saffron mix on your cleansed face. Keep it on for about 20 minutes, later wash it off with lukewarm water. Papain is an enzyme that exfoliates the skin and makes it smoother, it's found in high quantities in papaya. Papaya helps in repairing and rejuvenating the skin. Fuller’s earth helps to cleanse and tone the skin. Mix 1 tbsp papaya pulp and 1 tsp fuller’s earth well till you get a smooth paste. Apply this papaya paste to your cleansed face and wait for the paste to dry. Later, rinse your face with cold water. Potatoes contain a natural bleaching agent that plays a major role in lightening your skin and giving it a natural glow. The vitamin C content of lemons will help in brightening your skin and protect it from toxins and pollution. Take some sun dried lemon rind and grind it to a fine powder. Mix lemon rind powder with the milk and make a smooth paste. Apply this paste on your face and leave it on for 20 minutes. Lastly wash your face with warm water, and immediately follow with a cooling toner. Honey being a natural anti- bacterial ingredient for beauty care helps in keeping your face safe from skin bacteria causing pimples and discoloration. Applying this honey mask only once a week gives you natural soft, fair and glowing skin. Take a tablespoon of raw honey and rub it with your fingertips to make it warm. Apply this warm honey all over your face. Leave this natural honey mask on your face for about ten minutes and then wash it off gently with warm water. This homemade beauty tip will make your skin feel fresh, clean, and moisturized. 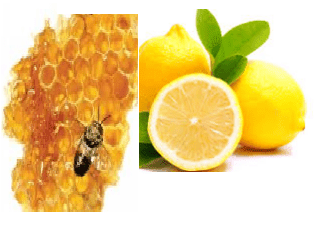 Lemons are high in AHA’s and BHA’s which remove dead skin cells and help clear up blackheads, acne, and discoloration, while honey is a natural antioxidant and antibacterial. 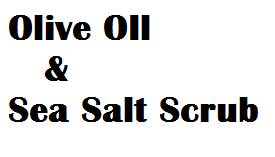 This mix of olive oil and sea salt removes the dead skin cells and will also help your skin to get a glamorous look. Coconut milk has high fat content, proteins and vitamin E which provides nourishment to the skin. Take a grated raw coconut and squeeze out the coconut milk. Apply this milk all over your face. 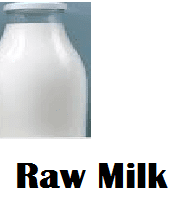 Raw milk works as an effective facial cleanser and is surely much safer than any of the packed facial cleansing products. This homemade beauty tip has the power to cleanse out unseen harmful dirt from the skin. This simple Orange, Lemon, and Yogurt Moisturizer which not only moisturizes your skin but also keeps it hydrated from inside. This moisturizer also brightens the complexion of your skin and increases the glow on your face. 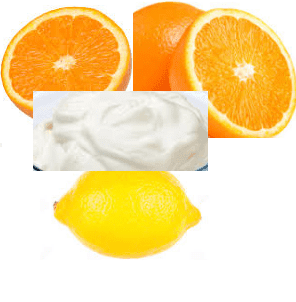 To make this Orange, Lemon, and Yogurt moisturizer, you will need one tbsp of orange juice, one tbsp lemon juice and one of yogurt. Then mix them all together and apply the paste over the entire face and leave it as a mask for ten to fifteen minutes. Castor oil is known to slowdown the aging process of your skin. Castor oil works wonders by preventing wrinkles and also makes your skin soft. Massage your face with a few drops of pure castor oil. Leave the castor oil on your face for half an hour or so. Later wipe it clean with a wet cloth. The harsh rays of the sun can do more damage than you could have ever imagined. This is why you need to use a sunscreen always while stepping out in the sun. A mixture of Glycerin, Cucumber juice and Rose water works as a perfect sunscreen for your screen. You can also store this lotion in the refrigerator. Ubtan is a traditional treatment for tan to get fairer skin. This treatment includes the use of a mixture of besan (gram flour), turmeric, and yogurt. Turmeric removes the blemishes and dark spots. Yogurt clears the excessive tan, and besan cleanses your skin effectively. This tan treatment suits all skin types and can be applied every day as it is very gentle. Vinegar is rich in antioxidants that fight free radicals and also keep bacterial and fungal infections away. Vinegar also effectively restores the pH level of your skin. Vinegar helps in treating any fungal or bacterial infection on your skin. In a clean spray bottle take some vinegar. Vinegar dries within two to three minutes, and you can instantly feel a cooling and relaxing sensation on your skin.